For those who love The Hunger Games and Divergent, S.J. Pierce's new novel, Spectacle, will be sure to tickle your readerly taste buds. In this newly established dystopian, the world is becoming overpopulated 200 years post "The Great Disaster." After a series of ravaging earthquakes, the planet suffers from limited land. Mirabella Foster resides with her family in New America. One day, her father reveals to her a secret that seems to uproot the earth all over again...he is part of an alien group called Changers. They are covered with blue markings that are mistaken as a disease that sets the community into an uproar, leaving the Changers quarantined on an isolated island to live away from the humans. I enjoyed the plot of this book, and the undertones of acceptance woven into the storyline. The opener is attention-grabbing, which is always more pleasant than trying to plow through the foundations of the plot just so you can reach the part where the story travels on its own. The best part was the Changers. 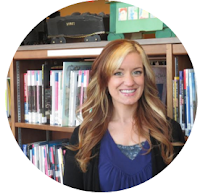 They were well-developed and I felt a connection to their story that surfaced emotion. Some low points for me were that some of the ideas weren't quite original. There were a lot of parts that seemed to be taken from other stories, such as The Hunger Games, Game of Thrones, and Avatar. But, if you're looking for a book that contains similar elements as these, then you'll enjoy Spectacle. I also felt like the romance was rushed near the end, and I just wasn't feeling it. It felt underdeveloped and a little messy. Overall, I liked this book. People who enjoy young adult dystopians as their main genre of choice will likely enjoy it as well. Let's celebrate! 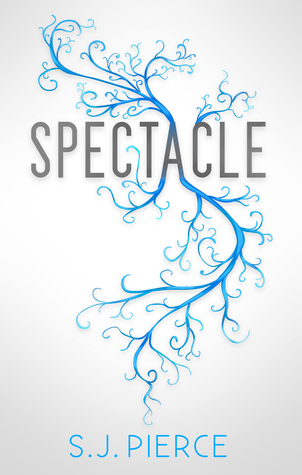 Enter for your chance to win an eCopy of Spectacle by S.J. Pierce!